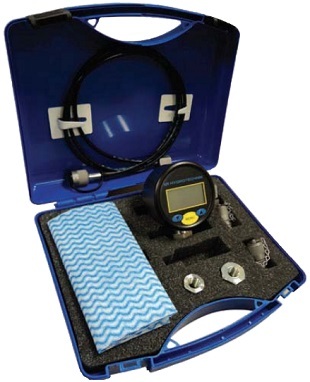 Accurate digital pressure testing provides the user with pressure readings aiding diagnosing hydraulic faults. This kit is supplied with a 75mm diameter digital pressure gauge able to read the following pressures: 0 to 60, 250 & 600 bar. 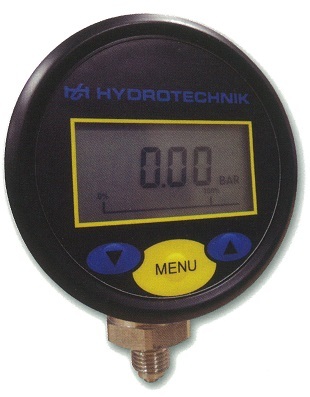 The 4 digit LCD readout with supplementary 0 to 100% bar graph allows you to accurately archive pressure results in the built in Min/Max pressure memory. The kit is packed with Minimess Test Points and Microbore test hoses for pressure testing a variety of applications with the Minimess Life Time Leak Free Guarantee.